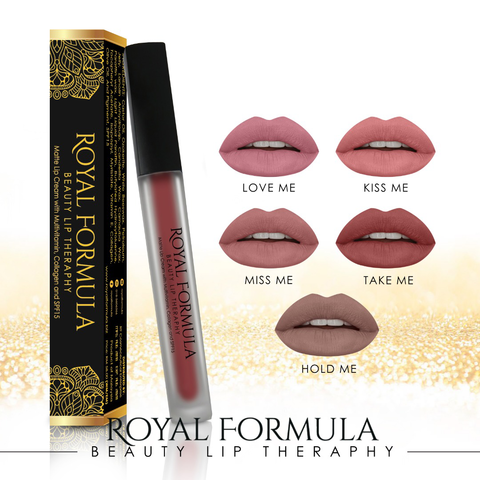 Cream-to-matte texture, long wearing, highly pigmented and enriched with premium ingredients to protect, brighten, soften and nourish your lips. 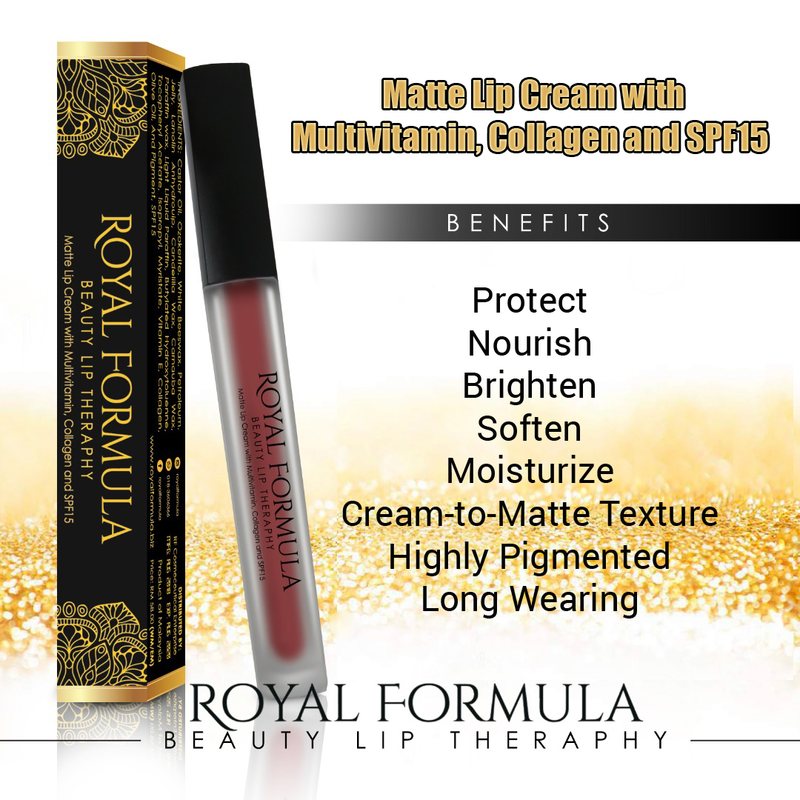 Contains multivitamin, collagen and SPF15. 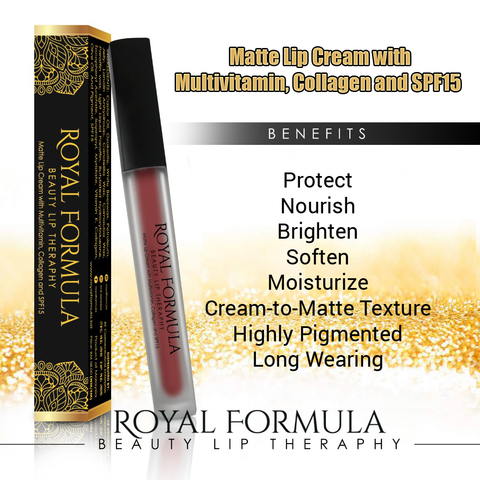 Double the charm of your lips while protecting and treating them at the same time. Comes with a mini lip balm as a free gift.